Preheat the oven to 375°. Spread the bread cubes in a large roasting pan and toast for 15 minutes, stirring occasionally, until dry and lightly browned. 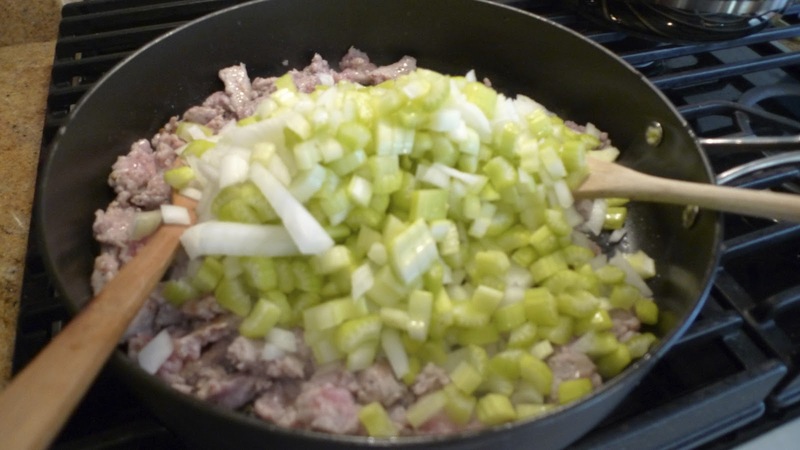 In a large, deep skillet, heat the oil. Add the sausage and cook over moderately high heat, breaking up the meat, until browned and no trace of pink remains, 10 to 12 minutes. 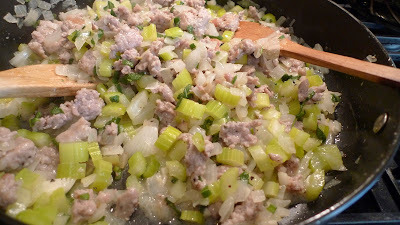 Add the chopped onion, celery and garlic and cook until softened, about 6 minutes. Stir in the sage and butter. 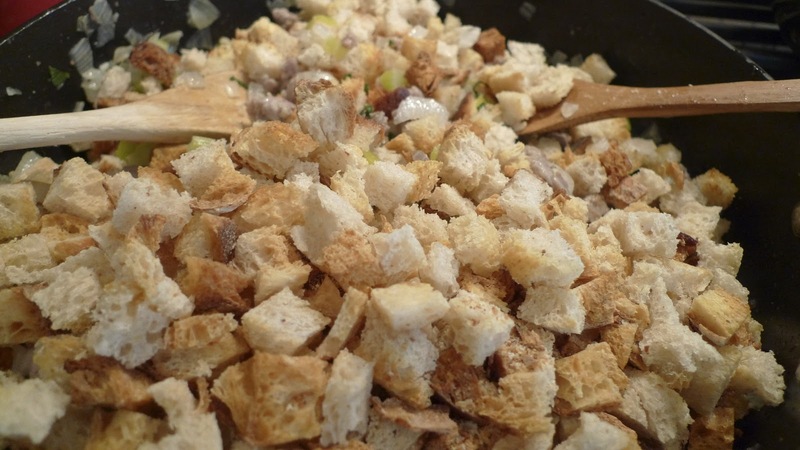 Scrape the mixture into a large bowl. 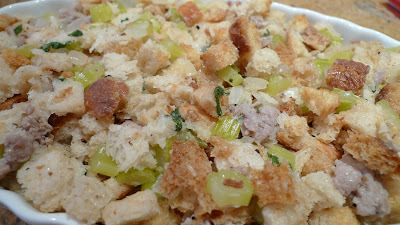 Add the bread cubes and toss. 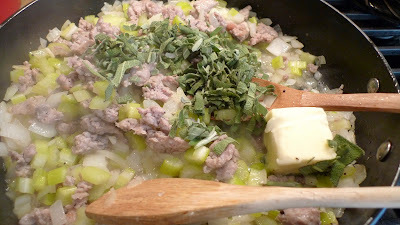 Stir in 2 cups of the stock and season with salt and pepper. You can stuff the turkey with stuffing and bake it or put it in a casserole or baking dish and bake it separately. 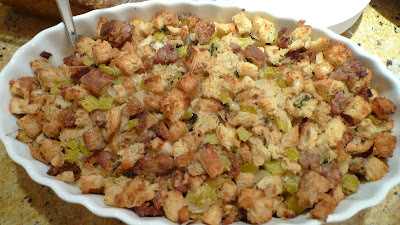 I like to do it separately so I put the stuffing in a baking dish for 30 minutes, until the stuffing was heated through and crisp on top.